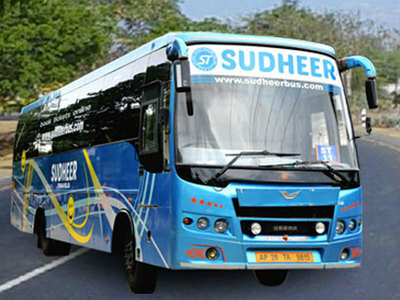 Sudheer Travels is a renowned brand in the bus operating industry. Our vision is to give a new face to the bus industry. Since our inception passenger comfort was our top priority. We have frequently added luxury buses to our huge fleet of buses. The only thing we focus on is that the comfort quotient of our passengers should never be compromised. We have always tried our best to push our limits in order to develop our travel experience. Read further to understand what we offer that enhances our reputation in the market. 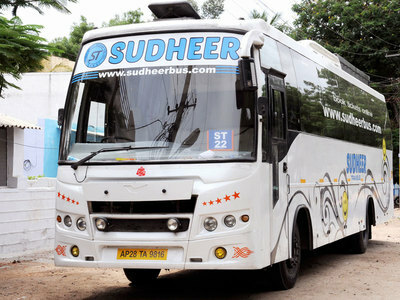 We at Sudheer Travels strive to maintain the most reasonable rates in the market. This also makes our passengers happy and thus we further give them discount offers on a regular basis to enhance their happiness. I was travelling with my college friends from Vijayawada. It was our dream trip and we wanted everything to be perfect. We booked tickets with Sudheer Travels as suggested by our seniors. Their review was true as we had a smooth trip at a very reasonable price. We still have the memories fresh in our mind, how we enjoyed the whole trip. I travelled from Narsaraopet by Sudheer Travels with my friends. The buses were well-maintained and the staff was very courteous towards us. It feels great to be travelling with a bus operating company that shows complete concern towards passenger's comfort. I was travelling with Sudheer Travels from Guntur with my 1 year old daughter. The staff was very helpful and showed special attention towards the well-being of my toddler. I would like to thank Sudheer Travels for their courteous attitude. I do travel a lot for work from Vijayawada to Gooty in buses and have travelled with almost all bus services. 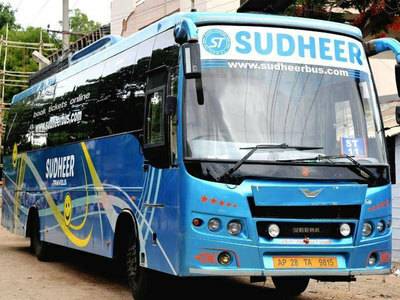 Since my first ride with Sudheer Travels I have been their regular customer. The reason being their luxurious buses and their reasonable rates.